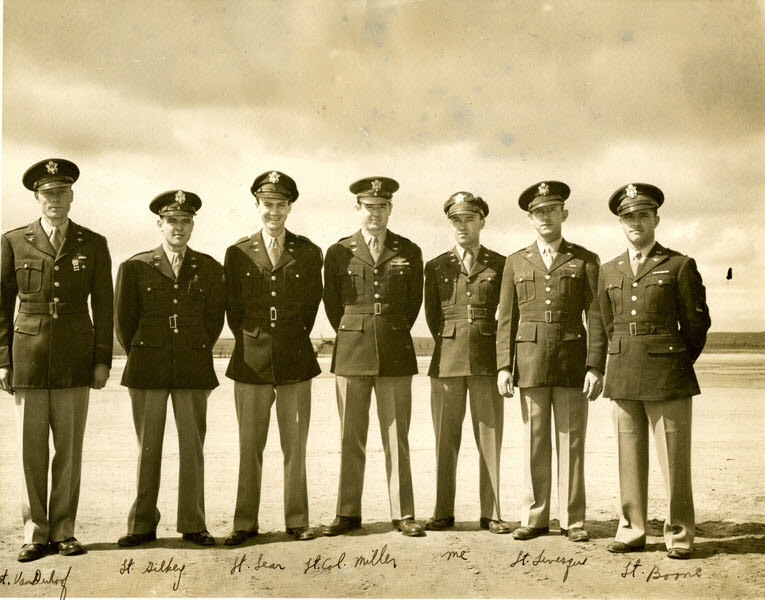 This picture shows a group of officers from the 30th Bombardment Group. From left to right we see Lt Vandenhoof, Lt Dilkey, Lt Sean, Lt Col Edwin B Miller (commander of the group from 30 August 1943 to November 1944, John Marie Robert Audette ('me'), Lt Levesque (?) and Lt Boone. Many thanks to Robert Hall for sending us these pictures, which came from his father-in-law Lt. Col John Marie Robert Audette, an intelligence officer in the Pacific, serving with the 38th Bombardment Squadron, 30th Bombardment Group.